This tutorial shows how to restore a World Origin object in a Trainz route that was originally placed by TransDEM but got lost or misplaced en route. The original route module was created with TransDEM. 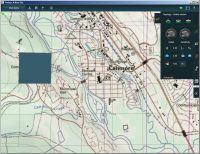 The original route module and the new one of this tutorial reside in the same UTM zone. 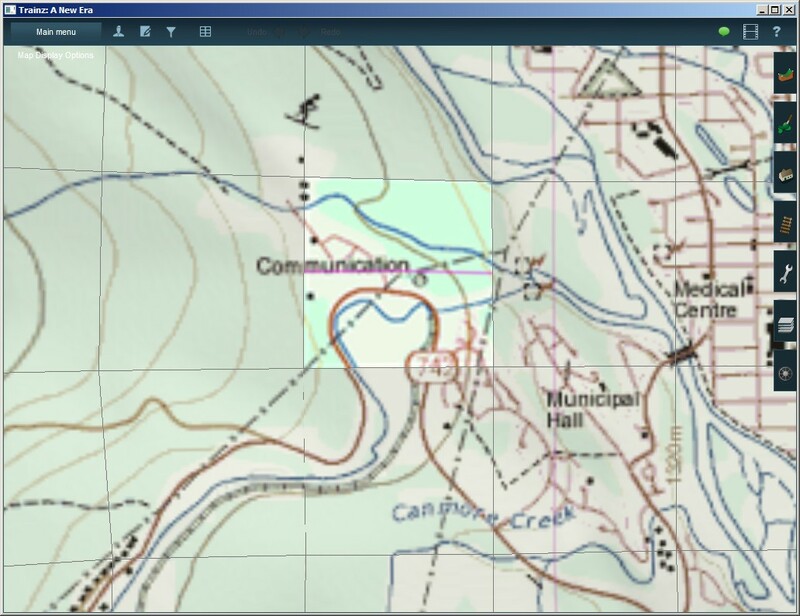 In this example we use Canadian geo data. 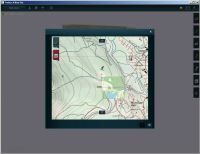 The original route module will be 082o03, created in this tutorial. 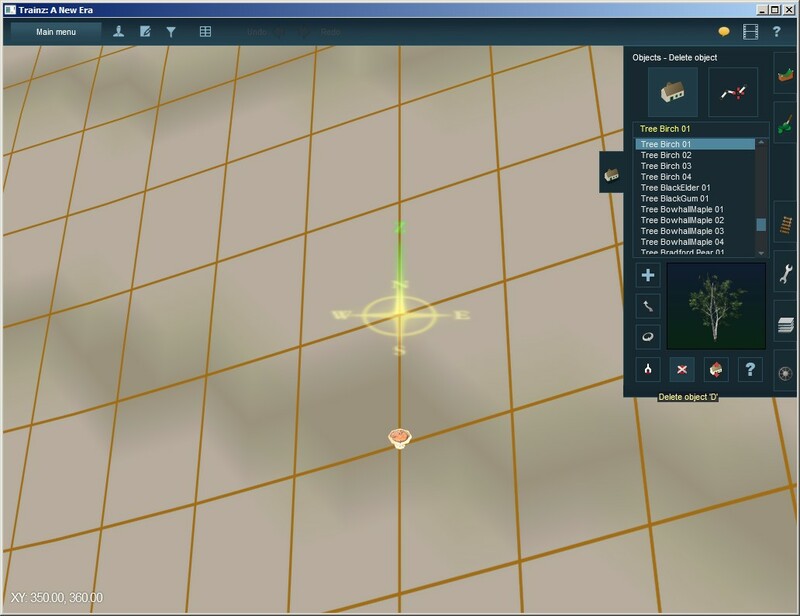 We open 082o03 in Surveyor and prepare the route by deleting the World Origin object first, something that may happen accidentally when working on a route. Here we do it by intention. 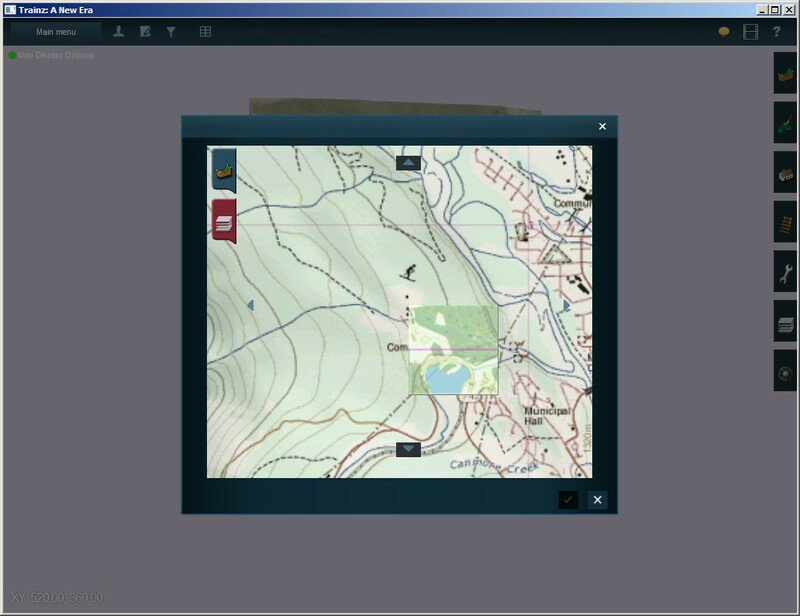 We find the WO with the Environment menu entry via the Location tab. We remove the WO object by applying the “Delete Object” function. Now we have a route that no longer has a World Origin. We want to restore it, in a way that TransDEM can work with this route again. There are a couple of ways to achieve this. 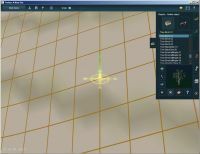 In this tutorial we choose the method of adding a new, single baseboard route. This single baseboard route will carry a new WO and serve as the World Origin reference in a merged route. The new baseboard can be positioned anywhere, it does not have to be at the same location or somewhere near the original WO. 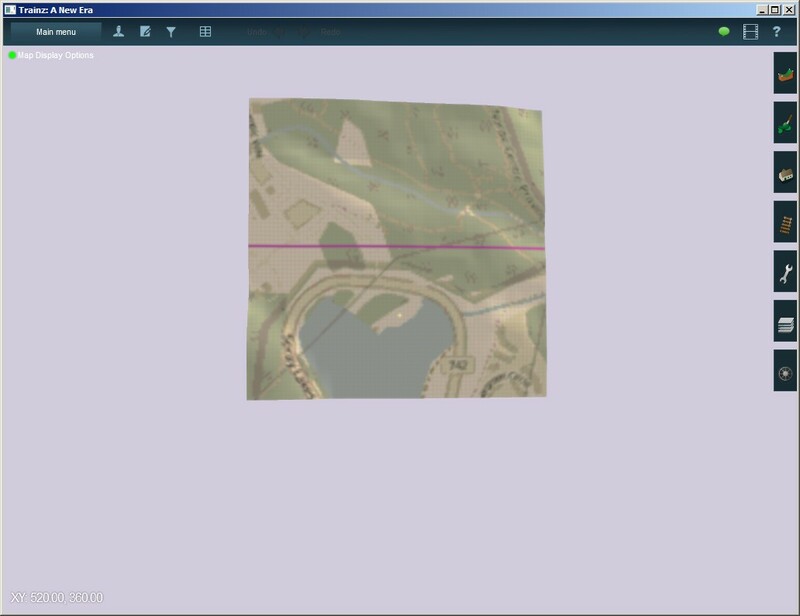 We should pick a spot where we can identify enough map features to precisely locate the baseboard both in Trainz Surveyor and in TransDEM. In this example, we place the new baseboard near the town of Canmore. We save the route, now without WO and one baseboard missing, as 082o03-noWO. 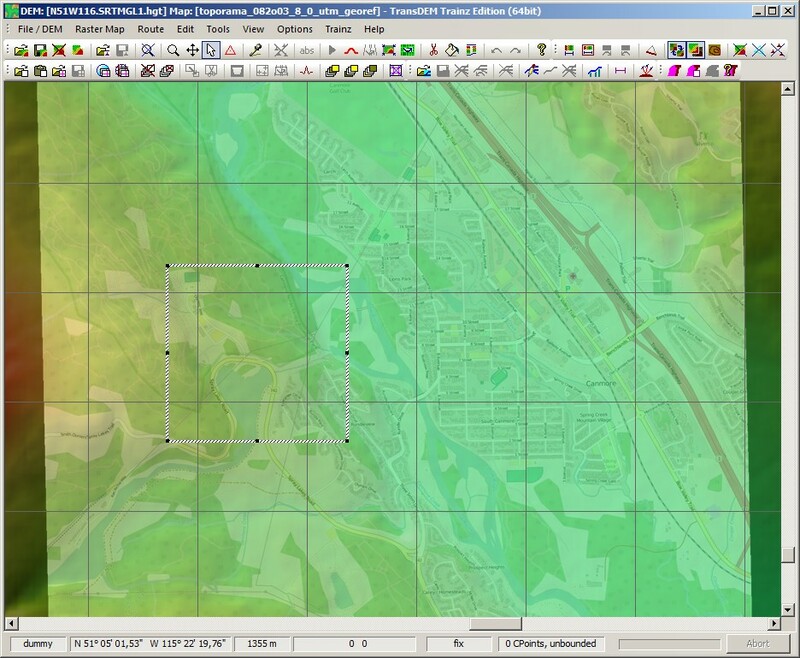 In TransDEM we load DEM and raster map for 082o03. 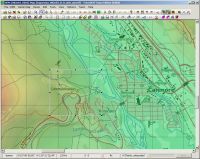 We do not need vector data this time, it would actually be in the way now. 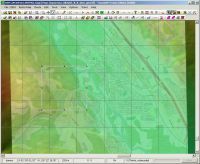 As in Surveyor we identify our baseboard in TransDEM and draw a rectangular mask around it. 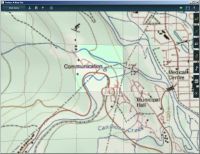 We create a Trainz route from it. 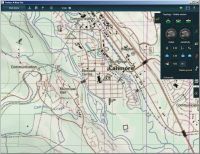 Since there is no vector data, the route filter is disabled automatically, otherwise we would have to switch it off manually. We call the single baseboard route 082o03-1WO. 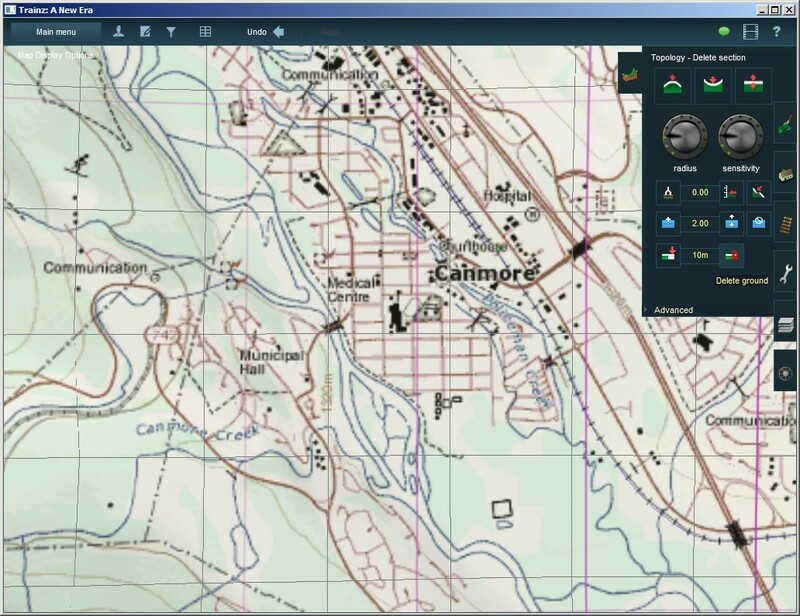 We import it with Content Manager and open it in Surveyor. Important: When merging a route with WO and one without WO, the one with WO must be opened in Surveyor normally (first module), the one without WO must be added through the Merge function (second module), not the other way round. 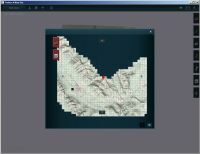 After a bit of shifting around we get it matching and finish the merge by combining the layers. 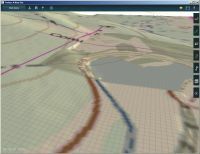 Zooming in, we find our WO object at the centre of our former one baseboard route. We save the result as 082o03-WOrestored. There is no need to repair the WO in TransDEM this time, because there was only one WO involved in the merge and Trainz didn't have a chance to get it wrong. So, we are done, the merged route is ready to be treated by TransDEM again. 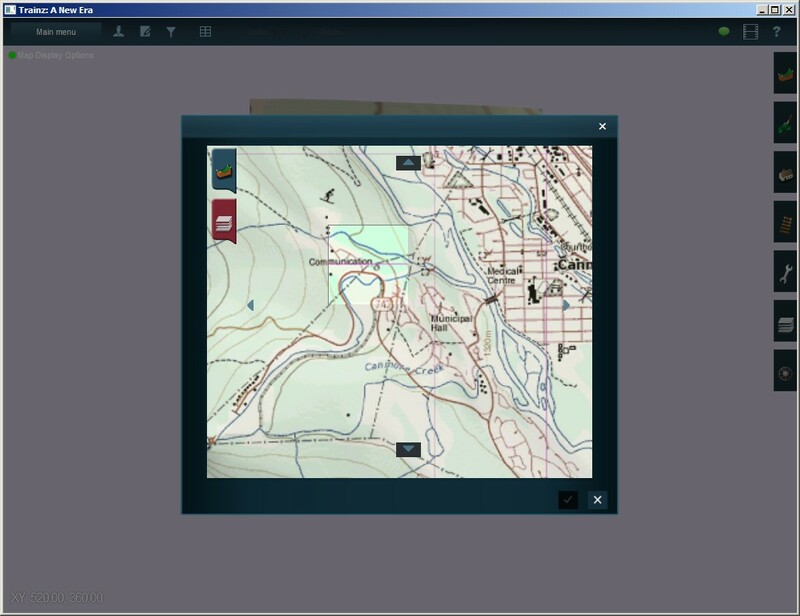 In this example so far we used the very same geo data source to create the original route and to restore the WO. In real life, things may be more complicated. 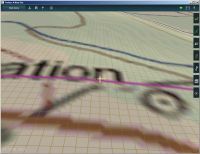 The original route module may have been created a couple years ago, the geo data used then may no longer be available. 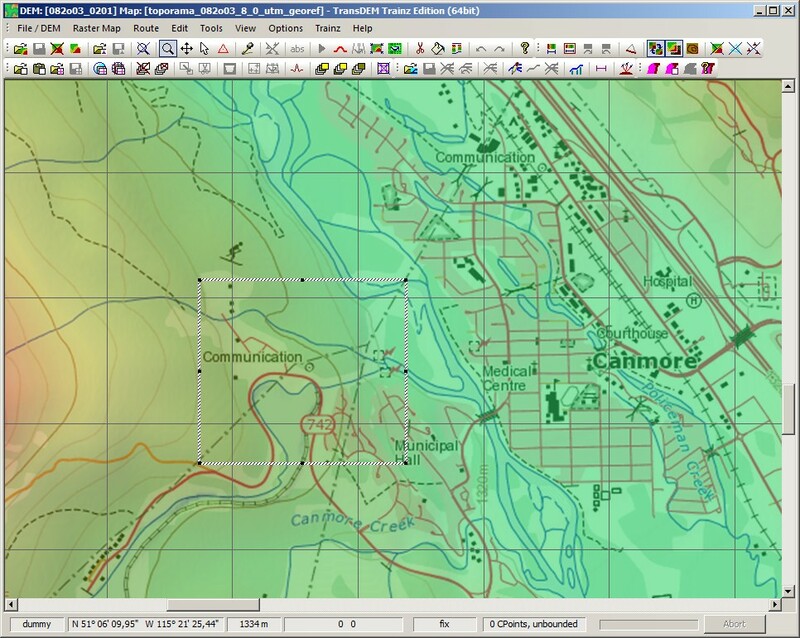 That does not prevent us from restoring the WO with a different geo data source. 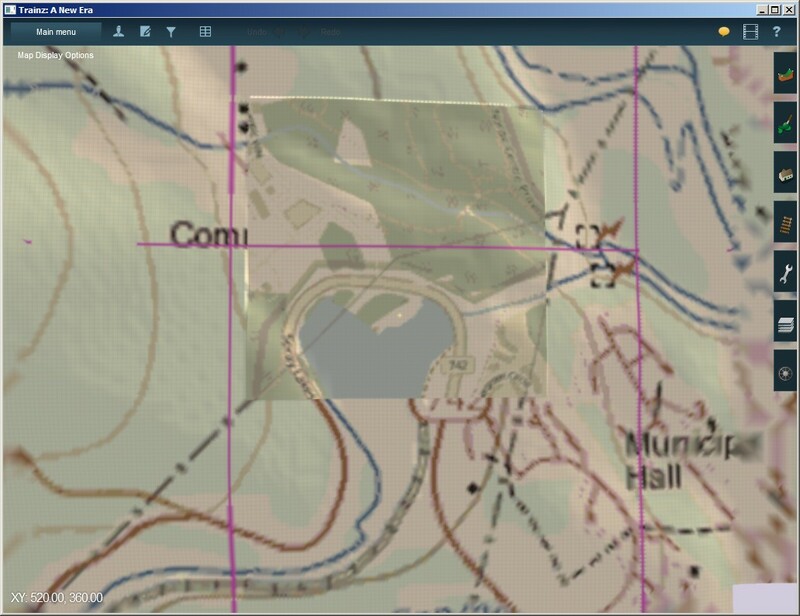 It will still work, because of a static mapping between Trainz World Coordinates, which define the baseboard borders, and UTM coordinates, assigned and maintained by TransDEM. 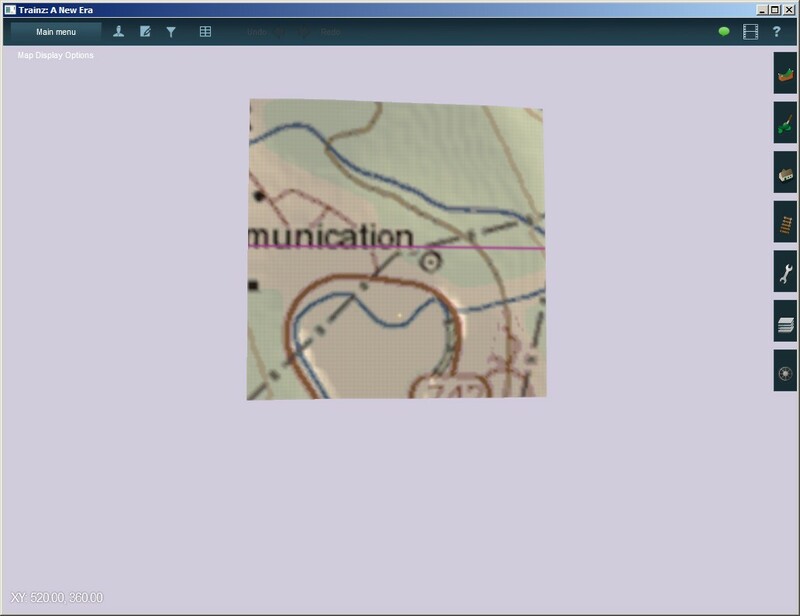 For the raster map I referred to Open Street Map, via the TransDEM Map Tile client. Again we create our single baseboard route. I called it 082o03-1WO-srtm. 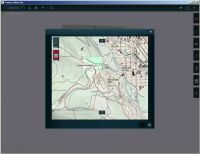 We import it with CM and open in Surveyor. Then we merge with 082o03-noWO, as before. The different ground textures are quite noticeable, but we also see that the road still matches, despite quite different geo data sources. Since we are also using a different DEM data source, we cannot expect the merge to be seamless. Viewed from an angle, this is clearly visible. It's not too bad, though, either, and could be easily smoothed with Surveyor tools. Danke Roland fur deine Bemuhungen Losungen zu schaffen. Ich habe Transdem und Trainz Erfahrung seit 2004 und bis vor kurzem sehr gute Resultate bekommen bezuglich Regionen zusammenfugen usw. Leider sind die WO der Unterschiedliche Strecken in Trainz fast alle unter die Karre gekommen und erlauben mich nicht mehr nahtlose zusammenfugen mehrere Teile. Ich bin entauscht das das Endresultat nach neues Eintragen einer WO mittels erzeugen einer sogenannt WO Mappe wie die in diesem Tutorial beschriebenen Beispiel. Eine Strecke von mir ohne WO ist 2 Basboards entfernt von dein Beispiel und ich habe die 082O03 auch benutzt um eine neues WO Board zu erzeugen das in diese Strecke passen sollte.Ich war erfreut jetzt eine Losung zu haben aber erstaunt das das neue WO board Uberhaupt nicht meine Erwartungen entspricht bezuglich Nahtlos einfugen. Du beschreibst auch das nahtlos einfugen eines WO board sehe Bild Communication und da beschreibst du das hier sogar eine zugelassene Abweichung genutzt werden kann aber das sieht fast wie ein Demo Beispiel aus. Bin gespannt ob ich der einzige bin mit ein solches Problem. Roy, I'll continue in English, for other readers to follow the discussion. As it seems, your WO restoration was successful. Can you remember which DEM data source you used originally? Was it CDED or SRTM? Which one did you use this time? 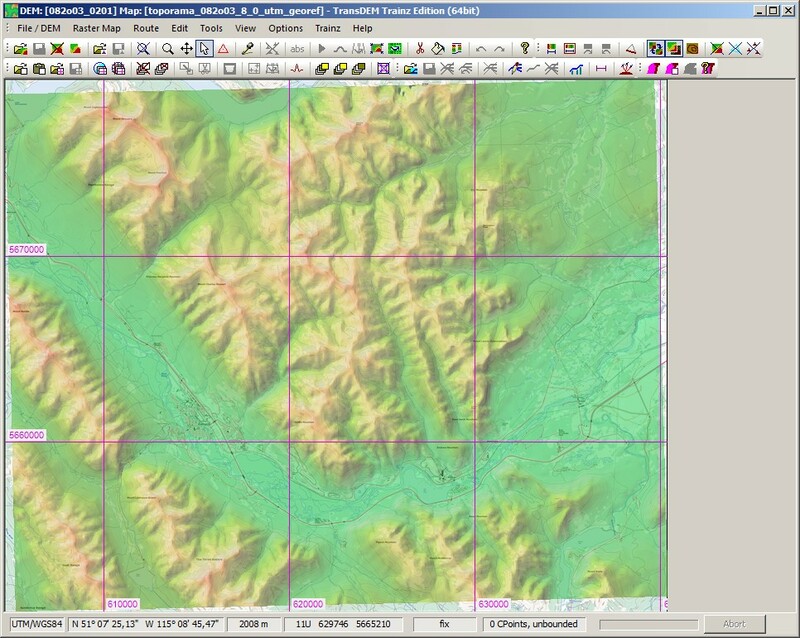 Discrepancies in elevation/terrain height will usually have to do with the DEM source. 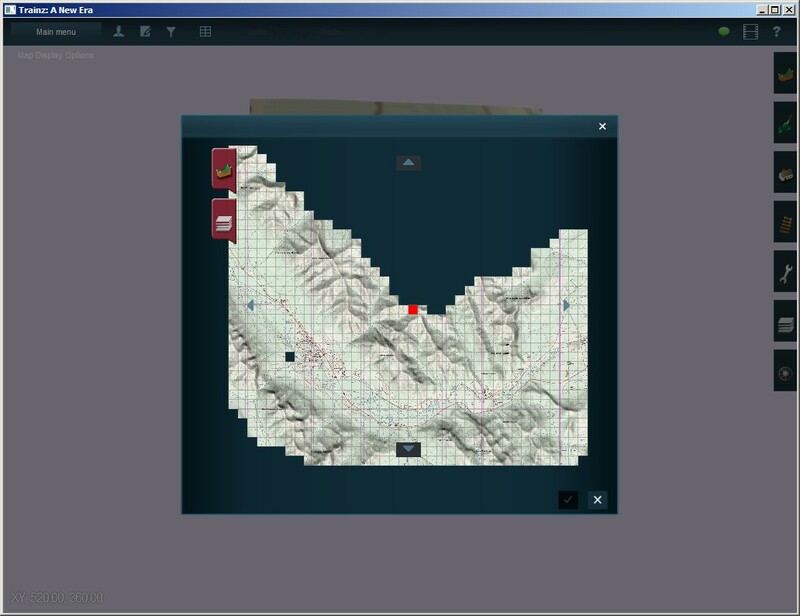 Or did you manipulate the terrain in Surveyor? SRTM data is known for erroneously taking tree tops as terrain level, so we might end up 10 to 20 m too high. Basically, restoring the WO as described in the tutorial is a form of seamless merging, where one the two module happens to be a very small one. So, what applies to this example, also applies to TransDEM-created route merging in general. Seamless merging has two dimensions: horizontally and vertically. Horizontally is all about baseboards and UTM coordinates. The last paragraph was about baseboard matching, that is the horizontal dimension. DEM elevation will determine vertical matching. 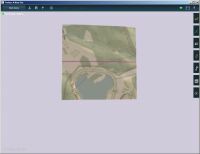 As long as the DEM sources are identical and the baseboards are matching (and terrain has not been manipulated manually in Surveyor), the result will be seamless, as presented in the two tutorials. Roland not sure at the time of creation 2006 the CDED already existed i think not. 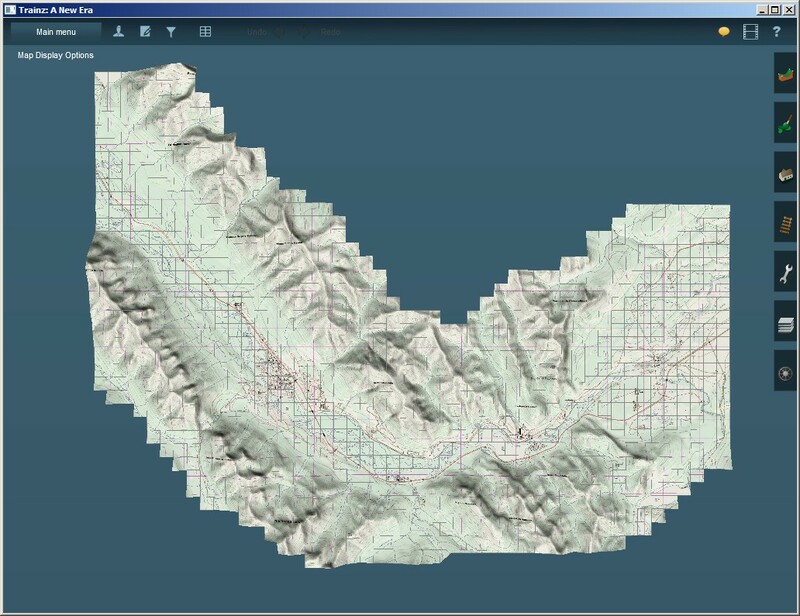 I did not manipulate the terrain impossible for even the most experienced user if you ask me. 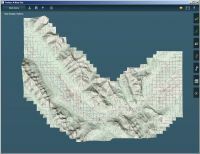 I did send you for testing purposes s while ago a empty route only with some textures left but the terrain to test what we talk about now. 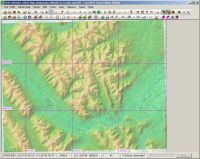 No trees no influence of any other asset by accident if it is SRTM based. Also you have from me the part 08204map as example to merge on the route on the southside. This should allow you to see excactly problem I run recently into now but never until last year. Before TANE but this has nothing to do with TANE i did test that already. The routes and maps all have the same UTM 11U same area from 082 083 084 so should be a no brainer. I hope you can find what goes wrong on the vertical sync here. Thanks Roland! In all merge cases we first have to verify that we do have the necessary common boundary between the two route modules, the horizontal match. Whatever we try, the modules will not match vertically, if they do not match horizontally (Nullarbor desert as a possible exception). 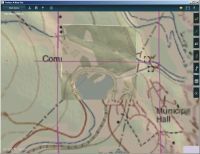 In case the topo map textures have gone in the original module and there are not enough landscape features to clearly identify a baseboard, our only rescue will be coordinates. For that we need the WO, or more precisely, the geographic (lat/long) coordinates of the WO. 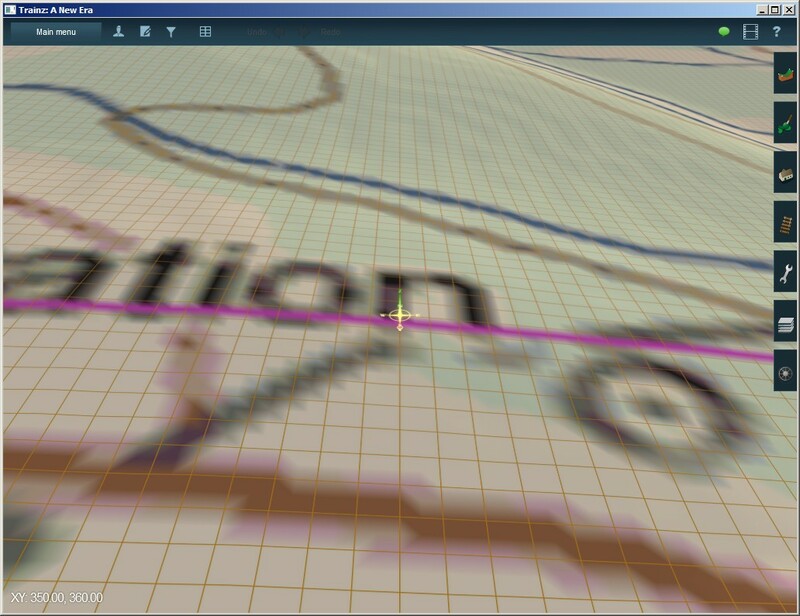 Then we can convert between UTM and Trainz World Coordinates as mentioned in my previous post. I may write a separate tutorial to explain the arithmetic. Understanding that conversion may also help people still using Lat/Long-Reader or the like for placing objects. Roy, regarding your particular route modules, we better do that by email. Is there a video that explains this, by any chance please. I have a route which i created with a huge help from a friend in TranzDEM 1.3 about 10 years back. But along the way the World Object has been deleted and i was hoping to be able to import the route back into TranzDEM. Which i purchased at the beginning of this week. My problem is i am 10 years older and mental health isn't as good as it was. And cannot follow this written tutorial sorry. i did manage to complete the included route tutorial though. I am afraid there is no video tutorial on this subject. And there is another obstacle: The route file format changes, introduced with T:ANE SP2. TransDEM cannot yet read the new formats and therefore WO restoration will not work at the moment for routes edited in T:ANE SP2 or higher. But if your original route was built with TransDEM you should still be able to merge it with a new module. Merging does not rely on the WO. 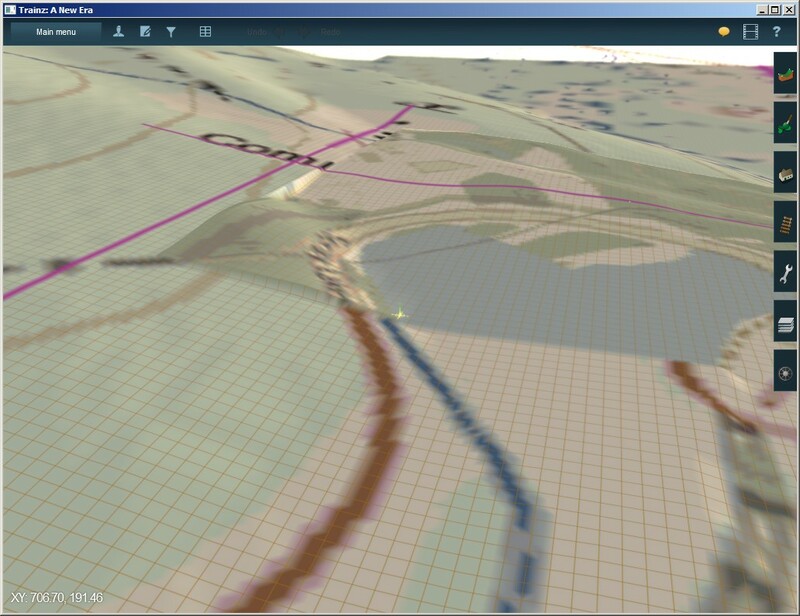 Only additional track splines or UTM tiles require a proper WO. 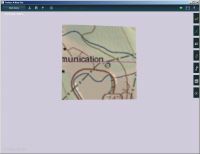 The mapping between the UTM (the spatial reference system used in TransDEM for all geo data) and Trainz baseboards never changed. The merge may not be completely seamless, as you will probably use a newer and better DEM data source for the new module. Nonetheless, the elevation differences should be minor. Thanks very much for replying Roland. I think i will leave it thank you. Definitely out of my depth.